Solutions range from turnkey supply of ATC tower systems and equipment to cost effective individual sub-systems, and from large towers at international hubs to small, regional towers. Solutions can be scaled to suit the functional and capacity requirements of any civil or military tower. 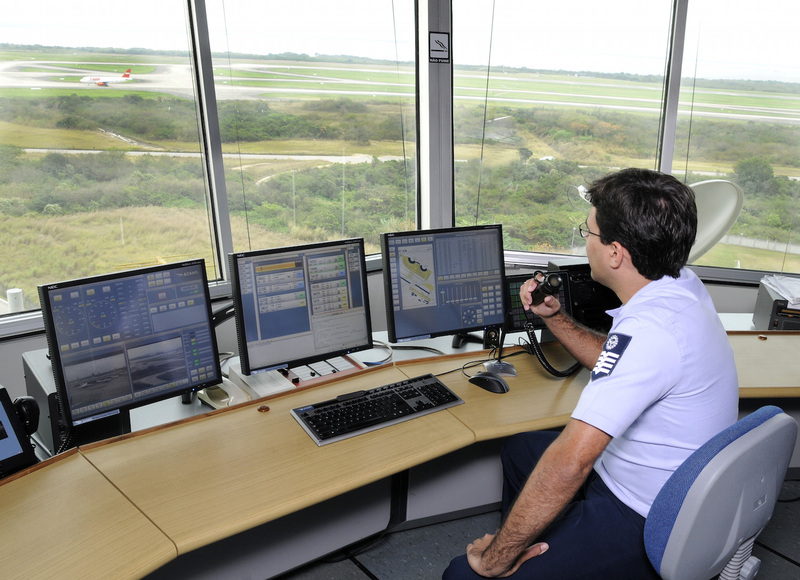 The I-TWR provides an integrated and homogenous solution to monitoring, control and display requirements of an airport tower. I-TWR takes signals from the related subsystem and provides the associated information (e.g. wind direction/speed etc.) in a user-friendly way on a touch-input monitor. Control of the related sub-system (e.g. 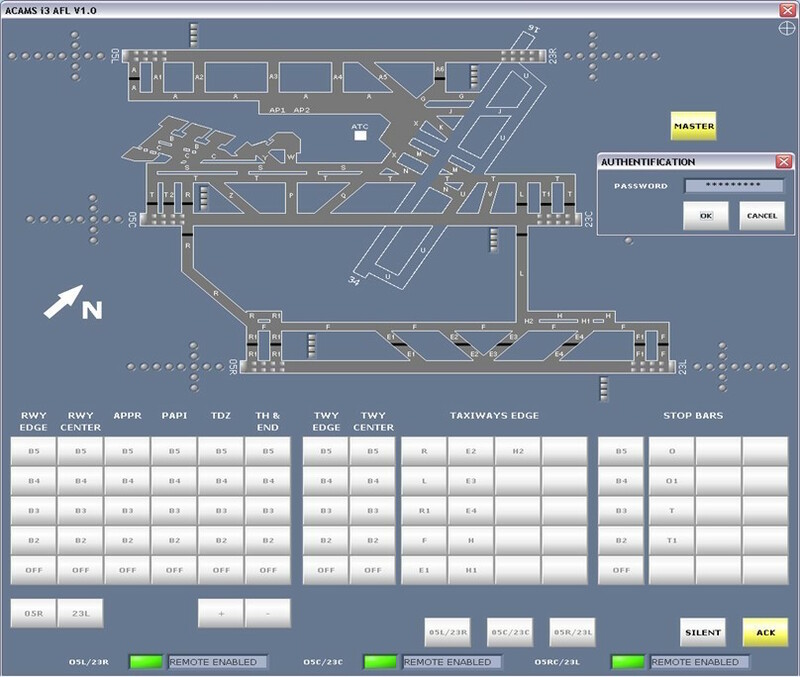 RWY lights on/off) can be carried out by means of touch input directly on the monitor screen or by mouse/keyboard. 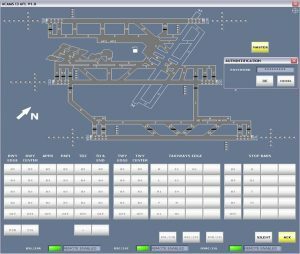 The I-Tower solution collects, extracts, displays and distributes decision support information to the Air Traffic Control Operator. A flexible, user friendly and cost effective ATIS/D-ATIS, VOLMET/D-VOLMET information system for a wide range of ATIS requirements. The computerized system automatically generates a speech message from data and text input. The system is equipped with a user-friendly interface allowing the message to be composed with a minimum of operator input. 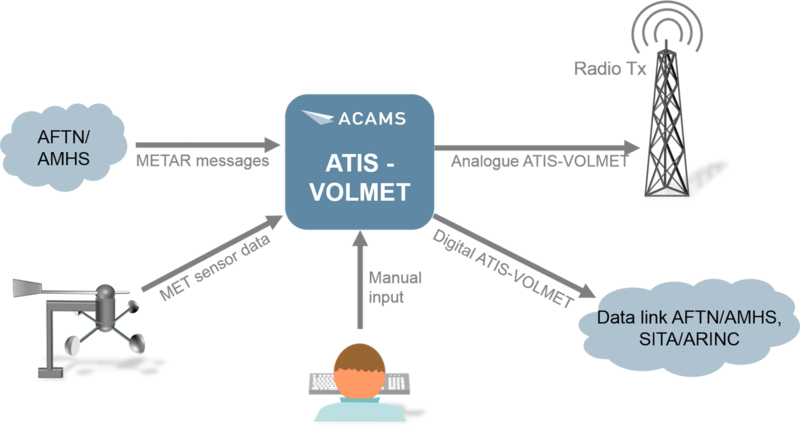 Parameters that are monitored by the system are automatically extracted from the ACAMS real time database. Other standard information is entered by simply entering the parameter values and the system will generate the complete message automatically. 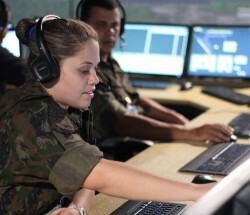 The Technical Control & Monitoring System (TCMS/GAMS) gathers status, failure and fault information from the ATC sub systems, performs processing and storage, and displays the information at technical operator workstations at various locations. 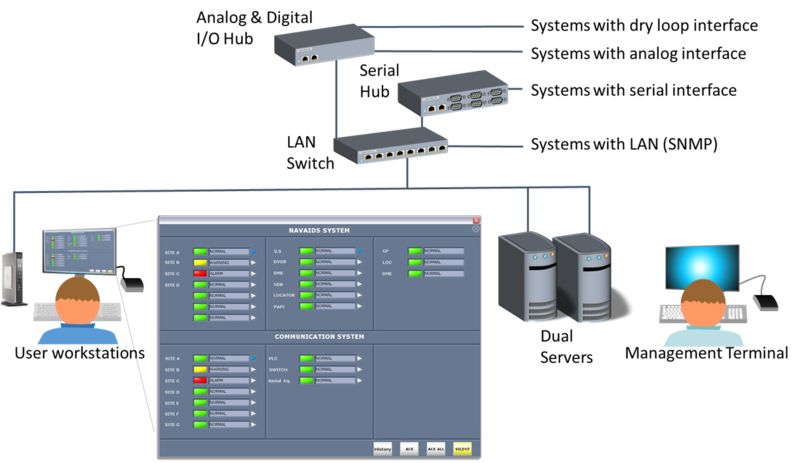 The control of theses subsystems is facilitated from the same workstation and the same HMI, enabling operators to access a wide range of equipment and systems through a single interface. Applicable for monitoring and control of ATC and CNS systems at one airport or countrywide. 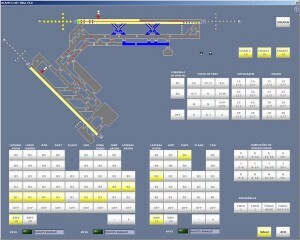 Effective control of all airfield lighting systems through a unified HMI. The ACAMS airfield lighting solution (ALCMS) allows the user to effectively control the various airfield lighting systems including runway, approach, taxiway, stop bars, apron etc. Unified HMI for multiple systems improves efficiency and reduces errors. Improving the tower process and working conditions for the air traffic controller directly affects aviation safety. ACAMS systems are made up of COTS components with the main processing being performed by high reliability, maintenance friendly, rack servers. Industrial IP based components interface various external systems. Internal components are interconnected using a dualised Ethernet network providing a fault tolerant architecture. ACAMS systems have modular design, allowing custom configurations with COTS hardware. Systems may be adapted and integrated to a wide range of systems and equipment, effectively extending service life of existing equipment. COTS client monitors also allows the use of the latest state of the art monitors thereby providing the best Human Machine Interface (HMI). ACAMS is the world expert on integrating tower solutions and have the entire staff dedicated to providing top of the range solutions in this specific field. Close cooperation with end users ensures effective processes. More than 120 installations worldwide ensure expertise in design, planning and execution, local adaption, and follow up. Applications vary from large international hubs to smaller, remote airports, for both military and civil traffic and include.